Christopher Rogers was born and raised in Chester, PA and is now a Ph.D Candidate within the Reading/Writing/Literacy program at PennGSE. He is a core member of Teacher Action Group Philadelphia, whose work consists of organizing teachers and other community educators to work toward education justice within the city of Philadelphia and beyond. He also maintains a special relationship with the West Philadelphia Cultural Alliance where he serves as Public Programs Director for the Paul Robeson House Museum, located at 4951 Walnut St.
We are celebrating our 5oth show and 4 years of PodcastPD! In this episode you tell US what show you couldn’t live without and we share our own must listens! Thanks for sharing your recs and thanks for spending the last four years with us! In this episode, discover how to structure a successful writing workshop, what a workshop mini lesson is, and how to trouble shoot common issues that come up. 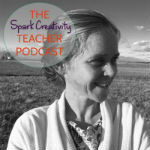 Learn with Amanda Werner, experienced workshop teacher and host of The Workshop Teacher podcast. 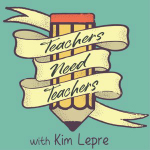 Today’s Guest: Pam Hubler - Pam is an Instructional Coach at a K-8 school in Charleston, SC. She's also a Google Certified Trainer, Shake Up Learning Facebook Community Manager, Wakelet Ambassador, and co-moderator of the #pd4uandme Twitter chat on Saturdays from 8:30-9:00. She's in her 22nd year in education and still loves it! Which of the following would be less torturous? Question #1: Audience Submitted Question: How do we get kids to be excited about using technology in the classroom? Question #2: How do we give teachers resources for professional development or student activities without overwhelming them? Up next you can hear Daniel Bauer’s interview with Rebecca Roper. 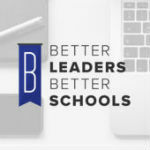 They explore interesting topics such as how she starts each day, a program called the Principal Apprenticeship and her taking action on a letter activity Daniel described in the School Leadership Series. For the last 17 years, Rebecca has worked in two different counties in VA. She’s currently the Principal at Donahoe Elementary School in Henrico County, VA and is in her fourth year leading this Title I school. Donahoe has 530 students, ranging from Pre-k to 5th grade. Prior to this, Rebecca served as the Associate Principal of Ward Elementary School in Henrico County, the Assistant Principal of Beaverdam Elementary in Hanover County, and 2nd and 3rd grade teacher at Pole Green Elementary in Hanover County. Outside of work, Rebecca loves to start her day by working out and end it by reading. She enjoys baking for others and spending time with my family especially her two fabulous boys. Rebecca takes us on a journey of her perfect day at work with waking up early and exercising to get in the right headspace. She arrives to work early before her teachers and organized things for the day. Next she greets the students with music, high fives, dancing to get in the mood for school. Rebecca tries to spend the rest of her day where the students are. Students love being a principal apprentice. Rebecca allows students to spend 20 minutes of their day with her holding her walkie, carrying her lanyard and experiencing that time with the principal. The students perspective is that she is on the phone a lot, in classrooms, run a fire drill’ whatever the day may bring. Students pay 80 dolphin dollars for this experience. Rebecca had her staff envision what type of year they had and write a letter to themselves about what they experienced. The letter was addressed to dear future self to describe the year the had, their successes, their achievements. The staff put the letters in a bag and Rebecca will give them back at the end of the year. Research shows that the more students speak in class, the more they learn, and the better they perform on standardized tests. Use your phone or laptop to analyze your class, and the app’s artificial intelligence (AI) algorithm tracks your talk ratio automatically, with no extra work from you or an instructional coach. The idea is to give teachers a useful barometer of student engagement you can check every day! 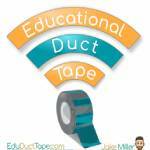 In this third installment of a four part series named, "Getting Ready For Testing", I chat with Wes Ryan all about digital learning menus. We park it at Taza Coffee House in San Antonio, set up shop outside, and record while taking advantage of the perfect weather. He's got a lot to say about learning menus including how to get started. 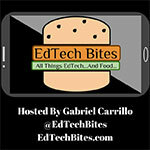 So tune in to see how to give your students more choice and autonomy in your class with learning menus. Have you seen Google for Education’s brochure on 60 Tools to Inspire Students with Chromebooks? It’s an awesome resource that inspired me to make this episode for you! I don’t have time to touch on all 60 tools in one episode, but I’ll chat about the highlights. If you want the entire list, just scroll down! If you need any inspiration for tools to use, this is definitely the episode for you. One of the tools I love is Book Creator. So often, kids are given the same presentation tools over and over, and this tool can help educators break out of that box and offer an alternative to the traditional presentation. If you haven’t used it before, I think CoSpaces Edu will blow your mind! It allows students to build 3D virtual environments, that can then be viewed in virtual or augmented reality. In the literacy and numeracy tools category, I particularly love Flocabulary. You might have already seen some of their videos without even realizing it! Another of my favorite tools in this category is Newsela. This is perfect for finding non-fiction articles that are appropriate for your students. They take news articles from reputable sources, and “translate” them into four different reading levels. Can you tell I’m excited about these tools? I wish I had time to talk about all of them, but I can’t wait to highlight at least a few of my favorites! 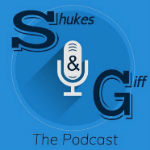 Tune in to hear about even more apps that I love, in four different categories. 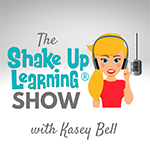 [00:28] - Welcome to episode 9 of the Shake Up Learning Show! Kasey explains her inspiration for today’s topic. [01:05] - Kasey sends a shoutout to @AlexTravisITRT on Twitter. [03:18] - Today’s question comes from Julie Cobb, who wants to know if Kasey will be doing any on-air coaching for coaches. [05:02] - It’s time to dive into the tools! Kasey starts off by chatting about one of the Content Creation category tools, Book Creator. [08:15] - Kasey shares another reason that she likes Book Creator so much. [09:16] - Next, Kasey chats about CoSpaces Edu, which allows students to build virtual 3D environments. [12:58] - We learn about another application, Explain Everything. [14:38] - The last content creation tool for today is Adobe Spark. Kasey talks about how powerful it is. [17:48] - Kasey shifts into talking about tools in the Literacy and Numeracy category, starting off with Flocabulary. [20:11] - The next tool that Kasey will chat about today is Newsela, which is great for finding age-appropriate news articles. [23:02] - Kasey talks about EquatIO, which may be perfect for math teachers. 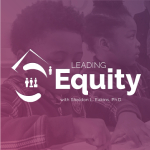 [24:50] - We shift gears back from math into reading as we hear about the next tool, Fluency Tutor. [26:03] - The last tool that Kasey wants to talk about in this category is Read&Write for Google. [27:18] - Kasey moves on to talking about the next category, STEAM Tools, and discusses Tynker. [28:24] - We learn about Flat.io, which allows you to collaboratively create sheet music. [29:44] - Code.org is one of Kasey’s favorite coding websites. [31:33] - Kasey talks about Edpuzzle, a tool from the Communication & Understanding category. [33:07] - We hear about Flipgrid, which is now completely free for everyone! [35:08] - Kasey shares her thoughts on Pear Deck, which is a favorite tool of hers (and this episode’s sponsor!). [37:59] - The last communication tool that Kasey will talk about today is Screencastify, which is a Chrome extension that lets you easily record your screen. [40:48] - Ready for the question of the week? Here we go! What are three tools from this week’s episode that you want to try in your classroom, and how will you integrate them into your curriculum? Post your answers on your favorite social media platform using the #ShakeUpLearning hashtag, or share them in the Shake Up Learning Community! If you’re interested in taking more than one of these courses, get a bundle to save big! Enrollment only opens twice a year, so sign up when it opens on May 21st or you’ll need to wait until November. If you’re ready to learn more, head to this link! 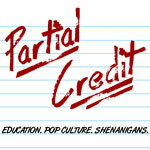 [44:12] - Kasey thanks listeners for tuning in, and offers a way to give back: leave a review (using the word “y’all” if you can squeeze it in!). 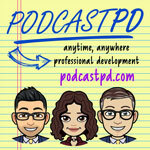 This helps other teachers find the podcast, and might get you a shoutout on a future episode! Holly Clark is an Education Strategist from San Diego, California. She is a Google Certified Innovator, National Board Certified Teacher, and holds an MA in Technology in Education from Teachers College, Columbia University. She has been working with technology integration and 1:1 environment since the year 2000. Presently she consults with schools internationally on building both the culture and strategy to support and inspire innovative teaching- including powerful technology integration and design thinking protocols. Holly has taught in both independent and public schools and is the co-founder of #CaEdChat. She authors a popular education blog: hollyclark.org and gives keynotes to audiences worldwide. You can follow her on twitter @HollyClarkEdu.